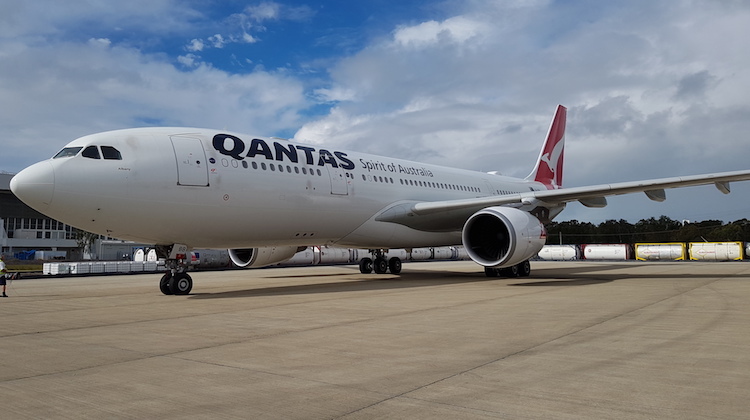 Qantas has commenced installing the hardware for inflight internet Wi-Fi on its widebody Airbus A330-200 fleet, with the offering set to be switched on for domestic flights “in the next few weeks”. 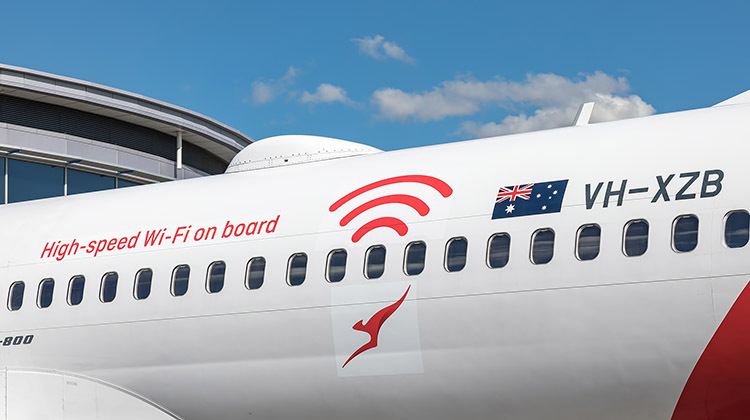 The first aircraft be equipped with the necessary hardware for Wi-Fi installed is A330-200 VH-EBB, Qantas said in an update on its Roo Tales blog on Wednesday. 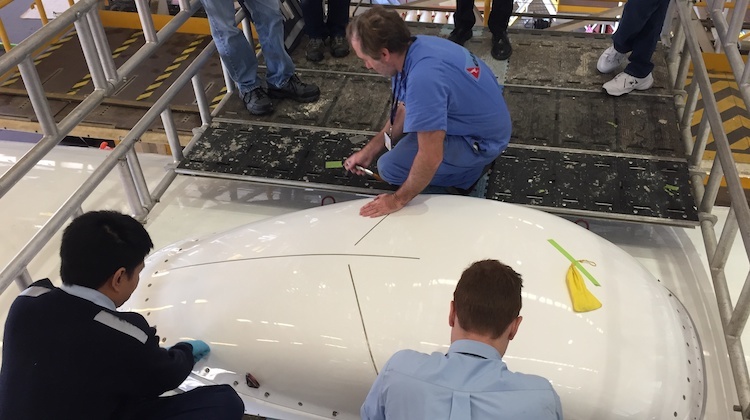 The A330 has been at Qantas’s Brisbane maintenance hangar since April 27 being fitted with the radome on top of the fuselage that contains the satellite antenna, as well as cabling and other equipment in the cabin. The aircraft conducted test flights on Monday and Tuesday, flight tracking website Flightaware shows. 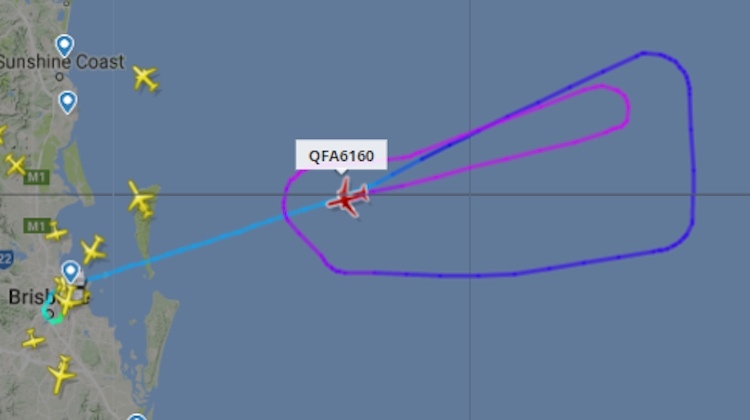 Qantas said VH-EBB would undergo further testing before its W-Fi was switched on for the public. “Putting Wi-Fi on an aircraft requires a significant amount of testing to ensure the safety of the installation meets our stringent standards, and the system delivers the level of performance we expect,” Qantas said. Qantas plans to have two of its 12 A330-200s, which are predominantly used for domestic services, fitted with Wi-Fi by the end of June. It also expects to have Wi-Fi on half of its 737-800 fleet of 75 aircraft by that time. The Wi-Fi installation usually requires a week to complete. However, aircraft may be in hangar for longer than that, Qantas said, because the fit-out would be scheduled for when they were due for their regular maintenance checks “to avoid disrupting our schedule”. Qantas began offering Wi-Fi on its Australian services in April 2017, starting with one 737-800, VH-XZB. The airline has partnered with ViaSat and nbn for its inflight internet service, which uses Ka-band satellites and is offered free to all passengers. Since the official launch, it has been gradually equipping more aircraft with the necessary hardware, such as a radome located to the rear of the fuselage just in front of the tail, and conducting more tests with the technology. The airline is still evaluating Wi-Fi options its international operations. In addition to giving passengers the ability to stay online during flights, Qantas has also said previously Wi-Fi would have operational benefits, with pilots, engineers and ground staff to use the new technology as part of their day-to-day duties. This included real-time monitoring of the performance of the aircraft, dealing with irregular operations before passengers walk arrive at their connecting airport and providing more weather-related information to pilots enroute. Wi-Fi could also be used to help cabin crew more accurately assess the condition of passengers who fell ill during a flight. Virgin Australia also started offering connectivity in April 2017. It has partnered with Gogo, using the 2Ku dual-antenna technology (one for the forward link and one for the return link) and Optus’s Ku-band satellites for domestic and trans-Tasman services and Intelsat and SES for its other international flights. In August, Virgin Australia said the “majority” of its 737-800s fleet would feature inflight internet Wi-Fi by the end of 2018. At December 31, Virgin Australia had 81 737 aircraft, comprising two 737-700s and 79 737-800s. Further, all five Boeing 777-300ERs, which currently operate from Brisbane, Melbourne and Sydney to Los Angeles, will have Wi-Fi installed by the end of 2018. Finally, its six Airbus A330-200s are slated to have inflight internet wi-fi by the second half of 2019. VIDEO: A look at the Wi-Fi equipment being installed on a Qantas Airbus A330, as shown on the airline’s YouTube channel. The VA 77Ws already all have WiFi fitted.